BAKERSFIELD, Ca. 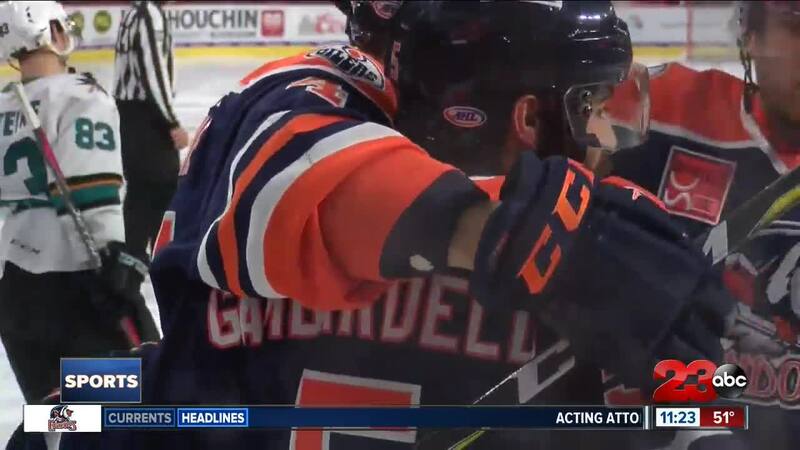 — The Bakersfield Condors (27-15-2-1; 57pts) won their 11th straight game, 3-1, over the San Jose Barracuda (26-10-2-4; 58pts) on Friday night at Rabobank Arena. The Barracuda got on the scoreboard first with a first period goal from Antti Suomela off a rebound, but the Condors answered in the second period with three of their own. Bakersfield has found their offensive boost in the second period lately scoring majority of their goals in the midway point of the game. The Condors stay on home ice over the weekend hosting San Diego on Saturday at Rabobank Arena.